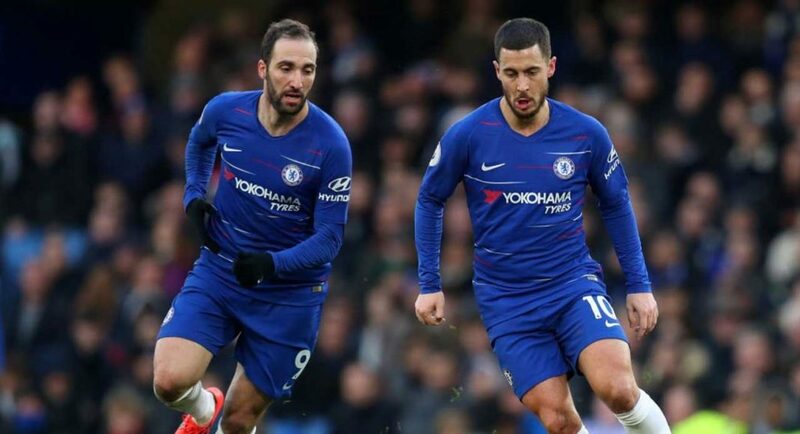 Chelsea visit Manchester City tomorrow afternoon, and we’ve had a punt at predicting how the Blues could lineup for the big game. It doesn’t get much bigger than this, does it Blues? Chelsea against Manchester City, one side chasing the title, the other battling for Champions League qualification. We can’t wait, as we’re sure you can’t either. What we’d like to avoid tomorrow is the weekly fanbase-wide meltdown as our starting eleven is officially announced. We’re hoping that Maurizio Sarri gets it right, because he has to if we want to have any chance of winning. We’d love to see Callum Hudson-Odoi involved, but it’s hard to see it, with Maurizio Sarri revealing during his pre-match press conference that the youngster has been battling with illness. We’d expect to see Willian and Eden Hazard out-wide. The only other position which is realistically up for grabs is in the third midfield position. 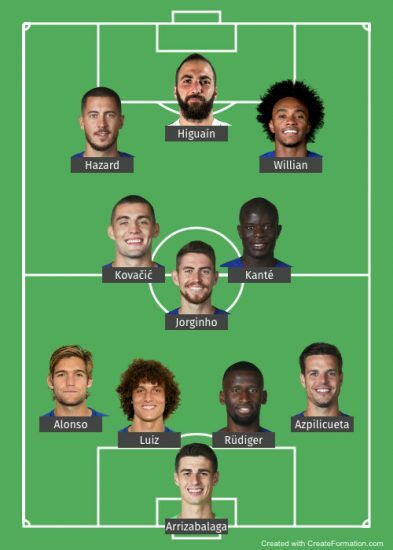 For such a big game, against such a brilliant side, we think it likely Mateo Kovacic will be preferred over Ross Barkley and Ruben Loftus-Cheek. Our predicted starting eleven looks like this, with Gonzalo Higuain leading the line. What do you think, Blues? Let us know your thoughts on Twitter @TalkChelsea, where you can also follow our coverage of the game tomorrow afternoon.